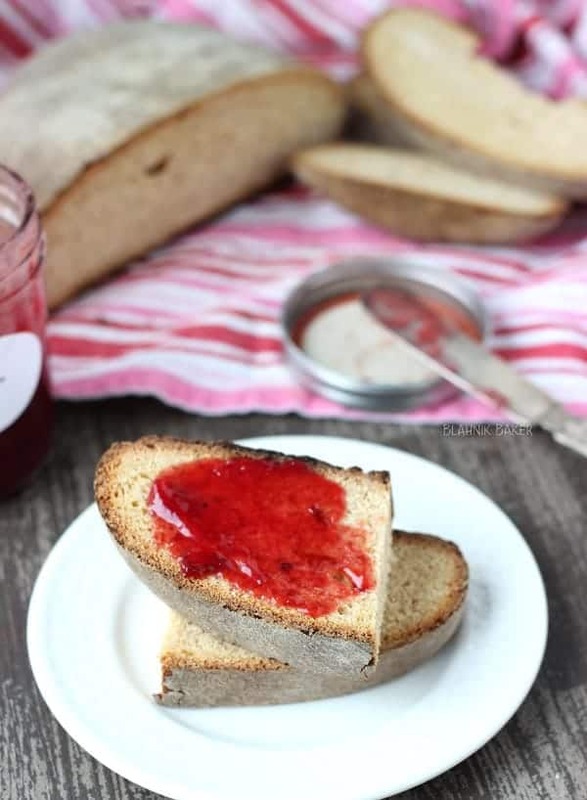 The sweet and nutty flavor of honey makes this homemade honey whole wheat bread a tasty loaf that will become a family favorite. It’s not everyday I share with you things that did not work out perfectly. But my friends there are plenty of those moments as I am on this baking journey. 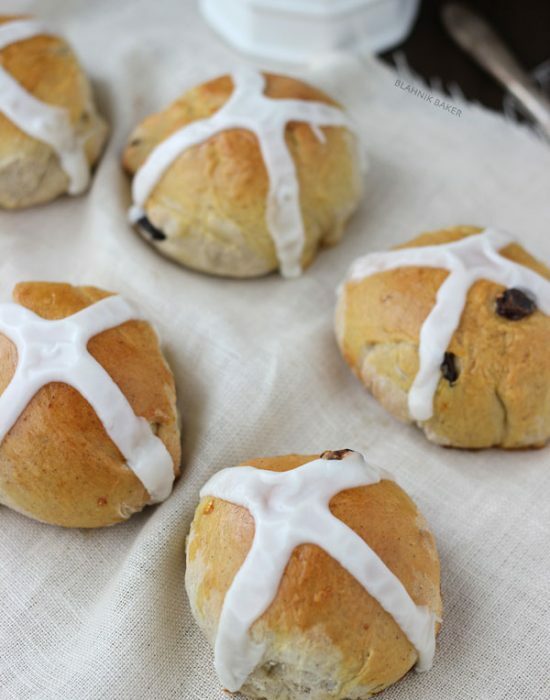 Homemade bread making is my new baking adventure and it was off to a great start when I made these Hot Cross Buns a few weeks ago. But of course they were itsy bitsy buns of sweetness and beginner’s luck was all in the row for me. Well that faded. I wanted to try some fresh honey whole wheat bread because of all the romantic ways fresh homemade bread has been sold on the interwebs. So I turned to my trusted friends again over at RED STAR Yeast that provided me with samples of their stellar products that I used in my adventures. Let me start by saying, I made this bread three times. THREE!! Before I was able to get a decent looking loaf. It was not the yeast as each and every time the dough rose beautifully (or proofed, whatever the legal jargon is in this field) as you can see above. But the failures were sadly all MINE. My handling technique to be exact. Apparently you can’t go mishandling dough as this is some delicate business. I should know about delicate considering I make macarons all the time. But no, dough and bread making is a whole different playing field. Despite my failed attempts, I was able to get a ‘decent’ loaf that was picture-able on my third try. To be honest, even though it does not look like a loaf of bread it sure tastes like one. This honey whole wheat bread is everything fresh homemade bread should be. Soft on the inside, crusty on top and smells like a beauty!! When it was baking my house smelled liked a bakery and it made all the troubles worth it. I did over-bake the one pictured here as you can see the crisp (*cough* burned) bottom. But I decided to share this batch with you because I need to document my trials as I go through this baking journey!! 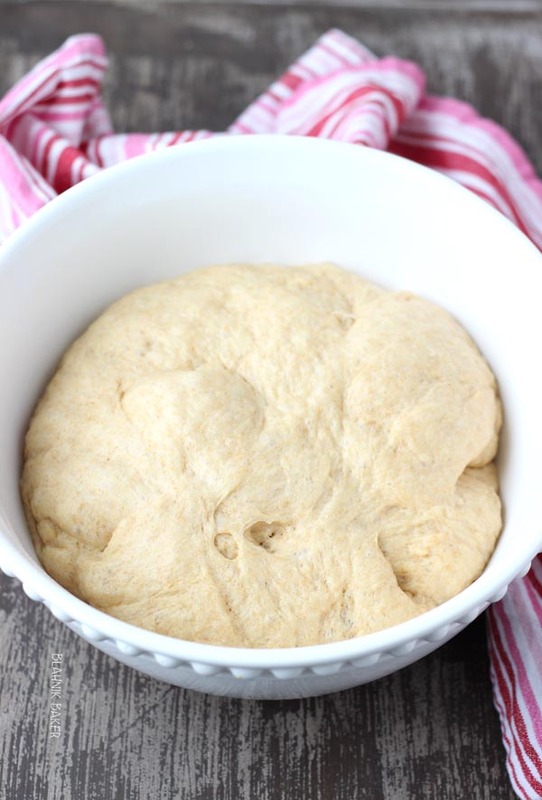 In the bowl of an electric mixer, whisk together yeast, 1 cup bread flour and salt. In a small saucepan, heat the water, milk, oil and honey to about 120 to 130 degree F. Add the liquid mixture to the flour mixture and mix on low speed. Beat for 2 to 3 minutes on medium speed. Add in the egg and beat for an additional 1 minute. Using a rubber spatula, stir in whole wheat flour and remaining bread flour until you have a firm dough. Using the hook attachment, knead for 4-5 minutes or until smooth and elastic. OR Knead on floured surface 5 to 7 minutes or until smooth and elastic. Use additional bread flour if necessary. Lightly grease a large bowl and place the dough in bowl. Turn over once to coat with oil. Cover with plastic wrap and let rise in a warm place until dough doubles in size. About 2 hours. Turn dough onto lightly floured surface. Punch down the dough. Roll into a circle and form a nice round ball. Cover in plastic wrap and let the dough rise. While the dough rests, preheat oven to 450 degrees F. When pre-heated place a dutch oven in the oven to heat 20 minutes. Place bread in heated dutch oven on a piece of parchment and bake covered for 30 minutes. Uncover and bake for 15- 20 minutes until golden and crusty. Remove from pot and let rest for 10-15 minutes before slicing. Well we all have our baking failures. But to be honest, I think your loaf looks great!! And I would love a toasty slice slathered in butter thankyouverymuch. Your bread looks great! Pinned! Yay for carb overloading! I think this loaf looks great! Zainab I still think it looks great :). Bread isn’t easy to make but once you get the hang of it it gets easier! I didn’t even see the burnt part until you pointed it out! Anyhow, I’ve decided I’m going to start making my own bread (until the reality sets in that buying it is easier) since it always tastes soooo much better and you can add your own flavours, such as the honey here! Thanks Jessica! The homemade one is so much better despite the troubles of getting there. You have to venture Amy! I know it will be easier for you because you are so talented!! Thanks Stephanie!! I am turning next to your archives for some help. I read your basic tips after my fails and I think I will be ready for my next try! We need a carbaholics unite meeting!! You know…glazes are the best!! Me likey those ideas. Whoops, I could have kept that to myself lol! Bread can be so tricky! I think it looks great! This bread looks delicious, and it is hard. I certainly haven’t mastered it, but I hope because I’m going to keep on trying! 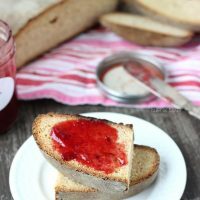 This is my kind of bread — I love the nuttiness of whole wheat, and adding honey sounds like the perfect thing to do! Marcie, I’m going to keep trying too!! About six months ago, everything I touched with yeast failed after years of success. I have no idea what happened. I keep trying and hope that some day my bread thumb will come back. Zainab, you are so right… homemade bread is certainly an adventure! And, it’s one of my favorite things to do in the kitchen! Homemade bread is an adventure that scares the heck out of me. This looks amazing. I seriously need to get over my fears starting with this. Girl you can handle it!! I don’t know what you’re talking about, Zainab! This bread looks awesome! I love that you shared it anyway, though. The baking journey is important too. 🙂 This bread looks beautiful and I’m imagining my house full of that fresh-baked smell! Well done Zainab. Your loaf looks fab. I haven’t done much bread baking, but I’ve heard it can be tricky business. 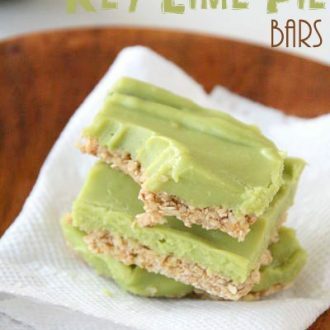 So glad you persevered with this recipe, because it look absolutely wonderful. I may have to bite the bullet and try out some bread making for myself. Zainab! I am so proud of you for breaking into the bread scene! What I love about homemade bread is that there is always something new to learn. There are so many different styles! I absolutely love baking bread (it’s my favorite thing to do in the kitchen), and I’ve definitely made loaves that look a little less than ideal. I’m so far from a bread baking expert…and I love that there’s so much more to learn. I’ve got some great resources that I’m happy to share with you if you’d like. And to be honest, that loaf in the pictures looks amazing! Nice work…and save me a slice!! I know exactly what you’re talking about, Zainab! 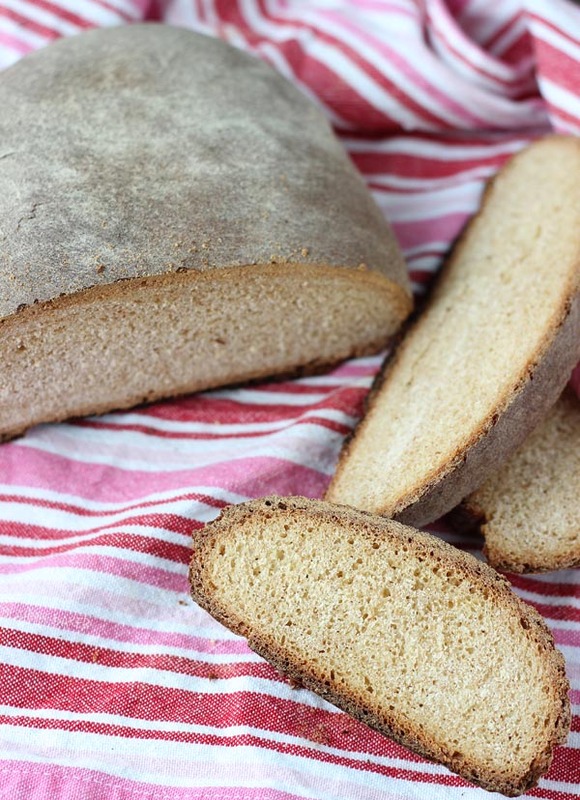 Making homemade bread without the help of a bread machine can be quite the challenge. So happy you didn’t give up because this bread turned out absolutely beautiful! I would love to sink my teeth into a slice or two. Yum! I love to read about bloggers’ ‘real’ culinary journeys. Practice makes perfect and all that! I think it’s an art worth mastering too (not that I have yet) as there’s really nothing better than a loaf of freshly made homemade bread. Lovely idea to add honey to a loaf, too! I’m sorry you had so many failures 🙁 Bread is one of the things I will always have trouble with.. yeast always makes me nervous. Way to stick with it though girl! This looks delicious to me! the bright red jam on it looks AMAZING. I like when people admits their faults. 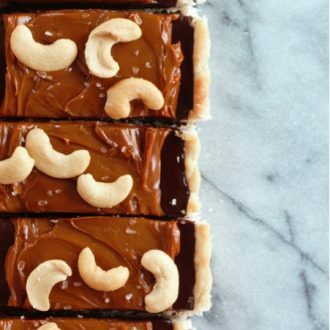 Although, it’s not fun to go through, it can be nice to hear that even us bloggers have recipe failures. It’s a road filled with ups and downs for sure. This bread looks great girl!! Nailed it. Pinned for later 🙂 Thank so much! bread is definitely a tough thing to make. i’ve made some pretty terrible loafs myself. one time i let it overrise, and the yeasty taste was so strong. glad this bread was tasty! confession: I don’t know why but *knock on wood* I’ve never had a problem making bread before. I don’t know if I’m just instinctively good at it or if I’m lucky? Regardless….I dunno. ANYWAY-I love this bread. Even if it took ya 3 tries, it looks worth it to me! Breadmaking is definitely a learning experience! But it is so rewarding once you get it down – nothing beats the taste (and smell!) of fresh bread! I think your loaf looks gorgeous!! Oh man, I feel your pain. Bread is a whole different animal. I have had my share of disappointing bread loaves. But I think this looks really good! Zainab, it might have taken some tries, but this bread looks great! Thank you so much for sharing at Best of the Weekend – pinned! Hope you had a great week and have a happy Friday! Such a great loaf of bread! Thanks for linking up with What’s Cookin’ Wednesday!